The author of Integral Hydroponics, the book that has guided many thousands of Australian growers to success, brings you Med-Tek. The mission statement of Med-Tek is to provide the highest quality formulations possible with yield and quality parameters in mind. Our aim is to empower hydroponic consumers with scientifically sound information and to market with integrity. The Med-Tek formulas were developed through extensive crop trials in conjunction with tissue and essential oil profile analysis run through U.S. based laboratories. Med-Tek places quality parameters at the forefront of everything we do. Quality information. Quality research. Quality in production and Quality products. Our formulas are fully compliant with best practice ‘Med’ production standards to ensure that consumers receive the cleanest end product possible. 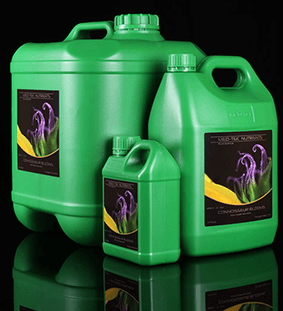 Mineral dense liquid fertiliser concentrates that provide optimised plant nutrition. The Med-Tek formulas were developed through years of crop trials in conjunction with tissue and essential oil profile analysis. The end result of this exacting research are formulas that are second to none. We aren’t into telling growers that it takes dozens of additives to achieve optimum yields. Any manufacturer who claims it takes multiple additives along with their base nutrients to achieve optimum yields is either making/supplying an extremely sub par base nutrient or they are leading growers up the garden path. Thus, we manufacture and provide just a few additives in our range, and we would challenge anyone to put our products up against our competitors in side-by-side trials to measure the quality of our formulations/knowledge. Med-Tek additives target both yield and quality parameters to bring out the best in your crop. PK Elicit, Connoisseur Blooms and Resin Finish. Take your growing to the next level. Med Grade for growers who take pride in their work. PK Elicit is a unique PK bloom booster which, besides P and K, incorporates other crucial nutrient elements such as magnesium, sulphur, and low levels of ammonium and nitrate nitrogen along with iron and boron that help heavy flowering varieties achieve optimum yields. Additionally, PK Elicit utilizes biostimulant phosphite technology and low molecular weight organic acids to maximize crop quality and production. Connoisseur Blooms brings out the best in your crop through utilizing carefully selected organic biostimulants which act to increase the rate of photosynthesis, improving cell division, protein synthesis and uptake of water and nutrients. Additionally, Connoisseur Blooms utilizes elicitor molecules through incorporating low molecular weight oligosaccharides. These oligosaccharides act as biostimulants while also priming a defence mechanism in plants which results in higher levels of essential oil production.The use of Connoisseur Blooms will result in heavier harvests and a higher quality end-product that oozes oils/resins. We aren’t into flash and dash. We’re into quality and content. The Med-Tek Nutrients website (http://medteknutrients.com.au) is undoubtedly the industry’s most grow information rich site on the net today. You’ll find by looking at the ‘grow info’ section of the site menu that there are hundreds of thousands of words on all things ‘Med’ and ‘hydro’. This body of work has been put together over the last 10-15 years by G.Low (Glow) and much of it has been migrated from his personal website, manicbotanix.com, which has long been seen as reputable, trustworthy source of information by North American, UK, European and Australian growers.